Jennifer Macaire kindly interviewed me on her blog. 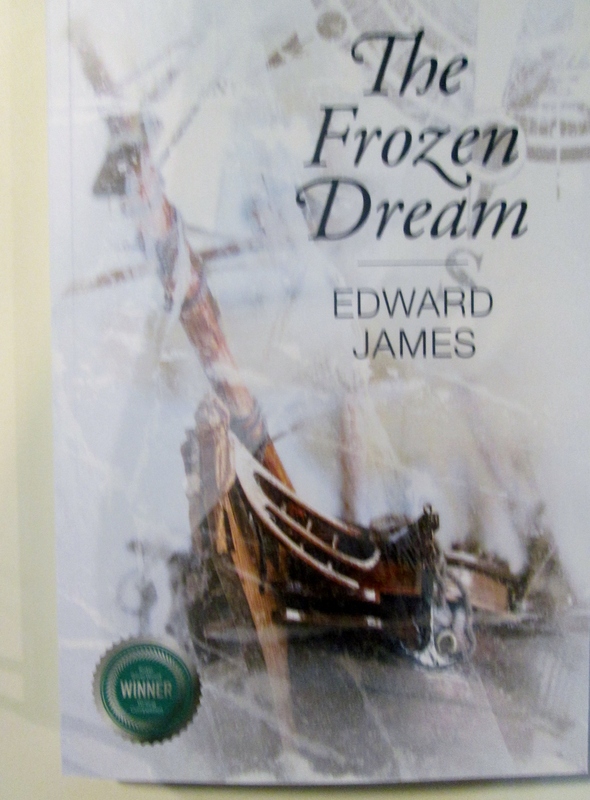 Edward James wrote The Frozen Dream, a book that impressed me with its plot, characters, writing, and also the research! no wonder your book about living with Russia and the Sami rang so true! Have you ever been to visit the Sami people? Is it something you’d like to do? I also visited the Lofoten Islands, Vardo (Wardhouse) and North Cape. to learn cross-country ski-ing, like my hero Arthur. Alas, I am not so good at time travel as your Ashley. century, although I was told there were still some families of Sami descent. meet the real Sami but their Finnish neighbours are extremely hospitable. character to become so important to the story? What would a sequel be like featuring Arthur and Kate, I wonder? he became more real to me than Richard. all that and Kate’s religion and role under Mary will become a liability. England to find other markets. rescue Arthur and then the whole Sami adventure flowed from there. woman in historical fiction. Why did you choose to create her? The model for Kate is Dorothy Wadham, the founder of my college at Oxford. (by then Elizabeth was on the throne) didn’t seem to be a problem. Tudor society’ – nobody told that to Dorothy. or does another time period appeal to you? through territory never visited by Europeans. books – let me know when they are published! TheFrozen Dream is available on Amazon. New attitude Status on Cheltenham or Die! cosplay costumes on Cheltenham or Die!